CONWAY, N.C. – At a single crossroads sits a lone set of stoplights, directing the ebb and flow of traffic in and out of town. On occasion, a John Deere tractor passes through, its driver giving a simple wave to whomever passes by. The town is quiet, almost catatonic in a sense, a far cry from its bustling heyday decades prior. The cluster of buildings that makes up the center of town standing amidst endless miles of rolling farmland on all sides. With a shrinking population today of only 756 residents, the town of Conway has seen better days. 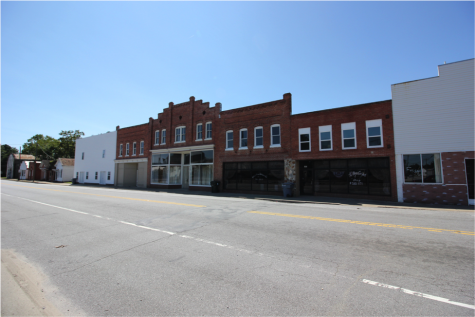 Nestled within Northampton County in northeastern North Carolina, Conway was the second fastest declining town in the state in 2016, losing 9.6 percent of its population. This population loss has contributed to the economic slowdown and eventual downturn of the town itself. Conway is not alone, however. Nearly 225 of the state’s 553 municipalities were estimated to have suffered a decline in population between 2010-2016, according to a recent study by the UNC Carolina Population Center. That amounts to approximately 41 percent of the state’s overall municipalities. Many of the other declining municipalities throughout North Carolina hail from the eastern region of the state, specifically the northeastern area. It is a trend that is growing steadily as the years have progressed. During the six-year period that the study examined, the top ten towns for overall population decline belonged to only three counties: Bertie, Northampton and Washington. Each of those three counties exist within northeastern North Carolina. This new study from UNC came on the heels of North Carolina’s surpassing of ten million people as of late 2015, one of only nine states to do so. Those new people do not seem to be headed for Conway, though. “It’s sad. We’ve lost the drug store next door, we’ve lost the restaurant twice. The grocery store is still doing okay. The doctor’s office is still doing okay. I’ve been here three years as of November,” says Rebecca Martin, owner of the Mini Pearl Boutique, one of Conway’s only surviving downtown businesses. Martin’s mother Becky stood beside her, reflecting on Conway’s significant lack of economic advantages. In 2014, Northampton County’s median household income was $30,838. The median household income in Wake County, home to the state’s capital, Raleigh, was $63,235, which is above the national average. Both of these figures are according to county profiles done by the North Carolina Department of Commerce in January of 2017. Northampton County has suffered from an average population decline since the 1960s, with only a few years of growth dotted between the years of loss. A growing trend in the rural counties of North Carolina is the exodus of the youth, and the passing of the elderly. When the youth do not return to their hometowns for whatever reason—perhaps the lack of jobs, low pay, or poor resources for growing families—it contributes heavily to population decline. College students who hail from these declining regions are innocent in their intentions but may cause crippling consequences for the areas they leave behind. “They go off, they fall in love, they get a great job. I mean, it’s hard not to stay,” said Martin, thinking on others her age who left Conway for the colleges and cities and have not returned. Her husband was fortunate, finding a job back home after obtaining an engineering degree. Martin’s mother Becky has even noticed the decline in her own church. 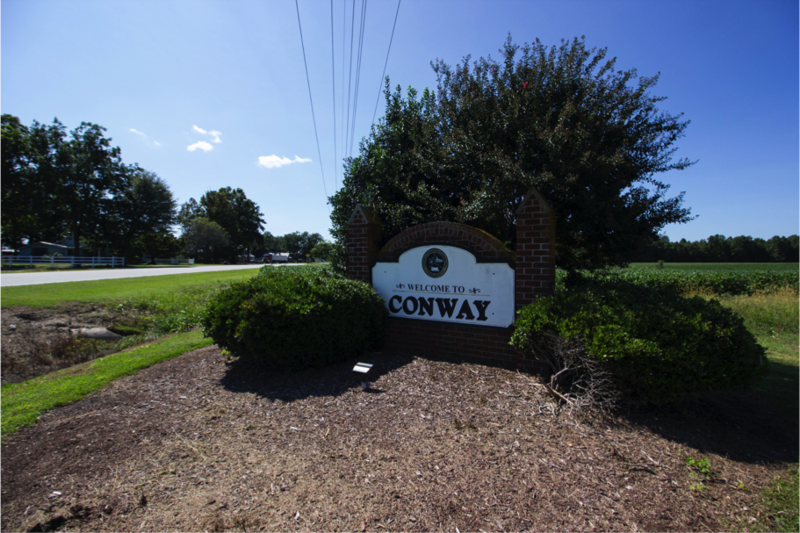 The downturn of Conway is becoming apparent even in the eyes of its residents. Empty storefronts line Church Street in Downtown Conway, signaling a significant downturn. If so many towns are shrinking, where is the state’s rapid growth coming from? According to census data for metropolitan statistical areas, the majority of the growth in North Carolina has been stemming from the urban areas, notably the Research Triangle and Charlotte. Raleigh boasted a 47.8 percent growth pattern from 2000 to 2012 and has continued to pace forward as one of the fastest growing cities in the nation. How the growth of the cities is factoring into the decline of the rural regions has started to become more evident to local officials and residents alike. For years, eastern North Carolina has been slower to develop than the rest of the state. Still hanging onto a more traditional, agricultural economy, the East has appeared to drastically differ from the piedmont. Down the street from the Mini Pearl Boutique is Flythe Bros. Inc., a local service shop that has been open for 60 years. First opened in December 1957, the business has been very successful, and is a well-known staple of the town. Sitting behind the front counter of Flythe Bros. and wearing a warm smile is Rachel Capel, a Conway native whose father established the business back in the fifties. She explained how the shop had to adapt to the changing times, and how it’s helped them succeed after six decades. “That’s part of the problem of the county. [Not offering] a little diversification,” said Robert Capel, Rachel’s husband, who sat beside her. 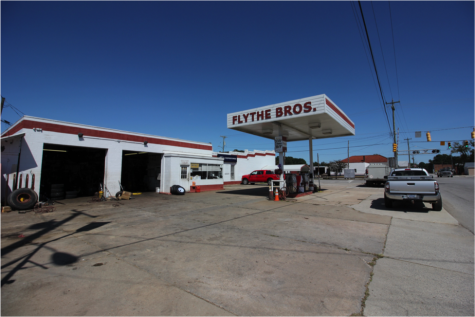 Flythe Bros. Service Shop, pictured here, is one of the oldest surviving businesses in Conway, dating back to 1957. It is not just the small towns being affected by the decline, either. Even smaller cities in the east have been affected as well, such as Elizabeth City, home of U.S. Coast Guard Air Station Elizabeth City, the largest in the nation. Between 2010 and 2016, the city suffered a loss of 709 residents, dropping their population from 18,635 to 17,926. One official in Elizabeth City recognizes the estimates of decline, and points to big cities being prosperous while the smaller towns suffer as a result. “Most infrastructure improvements are done in big cities, providing more money and jobs. More retail brings in more tax money. Schools are better, kids go to college and get great jobs and the cycle continues. Meanwhile, the cycle of poverty continues in our area,” says Julie Stamper, GIS Coordinator for Pasquotank County and the city of Elizabeth City. Loss of jobs, lack of educational opportunity, the flocking of youth to urban areas and the gradual death of older residents all have been repeatedly named by officials and residents alike as essential contributions to the decline in Eastern North Carolina. In Conway, it is clear that all of these factors apply. The Northampton County manager Kimberly Turner confirmed that she is aware of the growing issue of decline throughout the county, and spoke on ways that officials are planning to address it. Whether or not the other declining counties throughout the region are addressing the issue in the same way is unclear. In Raleigh, legislations have been passed that seemingly harm small communities, while the politicians behind said legislations have done little to acknowledge the estimated rural decline. It seems that for Conway, decline is steady and unrelenting. 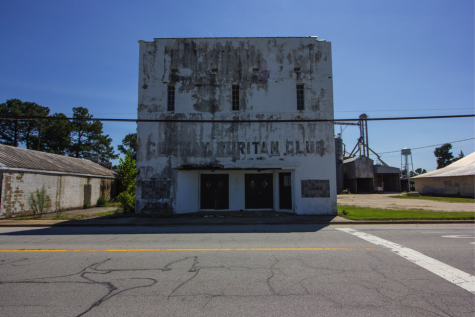 While the population is exploding in Charlotte and Raleigh and the economy of the state shifts from agriculture to finance and technology, the glory days of rural North Carolina appear to be in the past. The deterioration of the quintessential “small town America” may soon be upon us. I believe that the heart and soul of America is declining with the demise of small towns. We need to preserve rural America, where people are more self-sufficient and grounded in the values that made our country great. My family has been a part of Northampton county for generations. Most of us have stayed in the area. My father was an entrepreneur, having owned different businesses over the years. My husband and I have followed in those footsteps. Northampton County should have done more to bring industry to the area a long time ago. It’s always been such an agricultural based area that other business has been neglected. I really think it’s a little too late for my generation and my children because the workforce is not here. It’s going to have to start with educating the children today and have the industry and jobs available for them in the future. It’s sad to see our towns going down the way they have in my lifetime. I grew up in Seaboard, it was a wonderful place to live. It too is a ghost town now. The small towns like decline because there is no future no industry and nothing to do by moving back home I’m from a smaller town than Conway called Potecasi I know the area all to well. G P in Conway, PERDUE IN LEWISTON, TRUCK DRIVING jobs that about it other than farming why would someone come back other than retired people coming. WHY WOULD SOMEONE COME BACK????? I am the former Mayor Conway. To get a really good understanding of the decline in Northampton County, NC. Start at the County level. Economic distress and having some of the most relaxed DSS qualifications has created an upside down effect. People that come here know they can get great social service benefits. The tax payers are strapped. Northampton is one of the highest taxed counties yet one of, if not the, poorest in the state. The public school system needs to be taken over by the State and the school board consists of an abnormal number of relatives. Recently their answers to low performance have been to build new schools. The buildings do not make a school. Our county would be a great test bed for the State to implement a matching funds program that will attract state of the art Charter Schools, infrastructure improvements and industry development. The NCCAR facility should attract a vehicle assembly plant. The State could subsidize training for the employees or offer incentives to State college students to move back home to work or start businesses. Highway 158 is a great route from I95 all the way to the Outer Banks. Increased cell coverage, fiber-optic high speed internet service and by pass completion would create incentives for manufacturing. The towns must come up with creative ways to keep municipal tax rates down do to the ever increasing county tax rate. The people in our area feel like we are North Carolina’s forgotten citizens. We see our politicians with empty promises only during the election cycles. Let’s face it, money talks. Our are has no money. Until our State Government recognizes a need for the small towns, they will keep declining. I married a girl born and raised here in Conway. I have lived here 36 years and have tried to promote our town as often as I can. I would love nothing more than to see Conway become a beacon for the entire state. I once floated an idea to a television program developer called “Flip My Town”. Where they would use corporate America to come in and completely “Make-Over” a town. The progress could be documented for television. What a great way for corporate America to advertise their goods, do something great for society and start a trend of giving back to help others. If you would like to talk more contact me by e-mail and I will be glad to call or meet. Thank you for your time. Nice job Brian. Breaks my heart to see Northampton County towns declining. I was born and raised there, my family still lives there. Having my own children though I can’t even consider moving back due to lack of education opportunities. We have lived all over the country and what is offered in the area is not good enough. I grew up in Milwaukee, NC, but attended school in Conway. My grandparents lived in Conway so I was a frequent visitor. I married and left the area in 1961 and it has been so sad to see the decline. The rural farmland may one day become our salvation, so Conway is not dead yet! My father grew up in Conway, NC in the late 40’s and 50’s leaving for opportunities that were not available in Conway. He never forgot his roots and passed along the names of family members long gone. Conway is the cradle of the Deloach, Deloatch family. My great great grand parents, great grand parents and grand parents are buried in the Deloatch cemetery. For the two towns that were mentioned, it’s very simple. New families will never move there for two reasons – no jobs and crappy schools. It began with the closing of local factories, outsourcing our cotton instead of milling and dying around Chowan Co and then manufacturing in Hertford co, Northampton and Halifax Counties, it’s now Mexico, India, Dominican Republic our jobs left for cheaper labor. Same with Casket making a once huge business in Woodland with 4-5 active casket makers, to now zero. Mom and Pop stores, hardware, grocery, clothing.. gone for the likes of Wally World the big box chains. Corporate over taking. Sad. I enjoyed reading article. I think small town life is good. I think we need to do more applying for rail development grants. Small towns need to look into online job fairs to help people find real online income that is real. Conway rail way is a great way for drawing shipping for companies. We need to clean up abandoned buildings to clean up the towns. I was born and lived in Conway until I was 14. My father, A.P. Lassiter owned the Conway Theater (the old Ruritan club building) until it was closed down due to lack of business. He owned 8 either other movie houses and drive-ins in all the small towns around Conway. When televisions were available to every household the people stopped going to the movies. My family moved to Pompano Beach, FL. I always returned to Conway to visit my grandparents as long as they were alive. I still love the little town of Conway and am sad to see that it is loosing people every year. It is a sad fact that the young people leave the area and never return due to lack of jobs but this is happening all over the US. I live in an area of TN that is facing the same future due to lack of jobs. The only business we have in Copperhill, TN is tourism. The Ocoee river, rafting and the Blue Ridge Scenic RR that travels the 15 miles between Blue Ridge, GA to Copperhill, TN brings tourists to the sister cities of McCaysville, Ga/Copperhill, TN keeps these two small towns alive. There are things that Conway and all the other small towns could do to revive their base and the railroad might just be a starting point. Don’t give up people! I’m from Ahoskie, in the neighboring county of Hertford. After living elsewhere for many years, I moved back to the area 15 years ago. At that time, I lamented the decline of the “one stoplight” towns surrounding Ahoskie, but didn’t really think Ahoskie would go that route. I was wrong. It’s obvious that the culture/reasons/politics, etc. 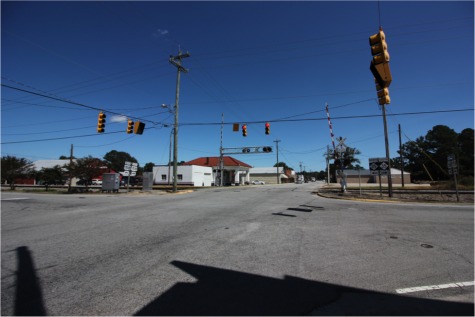 that led to the decline of the “one stoplight” towns has expanded to the “larger” northeast NC towns like Ahoskie. People who have lived here all their lives are leaving. This is our sad reality. I grew up in nearby Murfreesboro, NC…..My dad is from Pendleton, NC right outside Conway, NC. I left home when my children were small because there was nothing nearby. I let both of my children go to school in Hertford County schools because they are smaller and the kids can get better one on one with the teachers better, both kids have graduated from college now. My parents are the only reason I return to visit, but I am there for only a few hours and then I have to go. There is nothing there to do or see. I lived in Northampton county before mechanical automation took over 70% of farming jobs. People worked hard and enjoyed their life. What was once a prosperous county with alot to offer is now one big ghost town with some of the highest property taxes in the state, while being the poorest county in the state. DOES THAT MAKE SENSE? You have a great place to claim Social Security Benefits but no place to find a real job! The so called community leaders, NAACP members, and councilmen could care less about making Northampton county a better place with more opportunity. A company like VistaGreen comes in and wants to conduct business in our county and we push them away? The coal ash cleanup of NC will take the next 20 years to complete, thats 20 years of JOBs for our youth. If we dont get it, some other town will and will benefit while we perish. Everyone up in arms about it killing you, well then why aren’t we mad about the other coal ash dump sites already in our county. Why haven’t you felt health effects from those? No one seems to care about anything, except protesting because our so called county leaders tell them to. Guess What!? None of these leaders want positive change because it could mean the end of their current position of power. They are scared of change, because you will realize how wrong they have been doing you all along!! If we continue to turn down legitamate businesses conway and all of Northampton will never become a great place to live, just a great place to die. I grew up in Conway, left for the military, and now live in Roanoke Rapids. Although I have been to several foreign countries and every state in the United States, when I am asked where I’m from, my hometown, I proudly respond, Conway, NC. It is sad to see the decline, and I have to agree with some of former Mayor Bolton”s comments, however, I also know that many of the people that still live in Conway and the surrounding area are honest, dependable, hard working people. They are resilient, they are able, and they are VERY proud of their small town roots and values. Unfortunately, small towns across America are fading away, and even more unfortunately, those aforementioned values are fading with them. But I still hold hope that the decline will change, and as always, will proudly say that I am from Conway. N. Hampton County and its ugly sister Halifax County, where I grew up, have doomed their towns with lack of quality educators, no vision or plan for the future. Both are two of the heaviest taxed counties in the state, and consistently rank at or near the bottom in K-12 education. And the area is geared to fail with their welfare/hand-out programs, which encourage those “who should move” to where the jobs are, to stick around for the gov’t subsidies instead. I still live in a NC small town today, just a few thousand people….we just choose to run our county different than Halifax & N. Hampton Counties does. We require accountability of elected officials, and our teachers must be able to read and write like someone educated, which seems to be “optional” for those county school systems. I grew up in Houston and have lived in big cities and small towns and everything in between. I love the quiet, peaceful pace of life and NO traffic in small rural towns. I actually have become grateful that there is not a ton of shopping nearby as in the big cities. I am a better steward of resources, with fewer temptations, without an assortment of restaurants and stores within a few minutes’ drive. Life is slower away from the craziness and traffic of city life, the sights and sounds and pace of nature are calming instead of sirens and traffic and lights and hustle and bustle, spend, spend, spend, and trying to keep up with the Jones’. I would love for some who work from home or retired people who are ready to slow down and enjoy the beauty of creation and community to come invest in the rural areas, bring experience, talents, ideas, and energy to help revitalize these communities, not to make them big cities but help them to be the best small towns they can be, with the beauty of nature and sense of community that often is looked over in the city . The cities ignore rural communities at their own peril, as rural communities provide fresh food, fresh air, fresh water, and other natural resources that the cities need to survive. Why, as a college student in Wilmington, North Carolina, would I care about the woes of a small town, 200 miles and 3 1/2 hours away? This isn’t UNCW’s research and the story doesn’t even include UNCW faculty, staff or students. With so much going on across the campus, it might be time for the editors to review the newspaper’s Mission Statement.